When it came to recruiting foreigners to flee the comforts of home for the battlefields of Iraq and Syria, ISIS succeeded like no other — encouraging more than 40,000 fighters from more than 110 countries to travel to the fighting fray both before and after the declaration of the “caliphate” in June 2014. 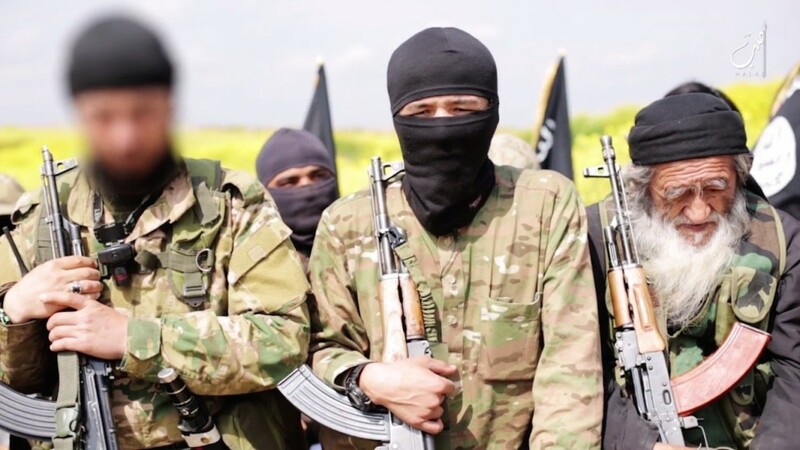 Subsequently, authorities have warned about the threat of returning jihadists to their homeland and since the falls of Mosul, Raqqa and the rapidly receding footprint of ISIS, such fears have come to the forefront. According to a new report, “Beyond the Caliphate: Foreign Fighters and the Threat of Returnees,” released this week by the Soufan Center — a Washington-based security intelligence consultancy — there are now at least 5,600 citizens or residents from 33 countries who have returned home — accounting for about 15 percent of the fighters. The report asserts that for the United States, 129 fighters succeeded in leaving the country and only seven have returned. Of the 5,000 residents of the European Union who flocked to Iraq and Syria, a quarter are alleged to have returned home. But in the U.K., that figure was closer to half, with some 425 of the 850 fighters who left Britain to join the self-styled caliphate back on home soil. Around 5,000 left from Central Asia, of which just 500 — 10 percent — too have returned. The countries with the highest number of foreign fighters included Jordan at 3,000 (around 250 returned), France at 1,910 with 271 back and Morocco at 1,623 with 198 having gone home. Meanwhile, 400 of Russia’s 3,417 fighters are estimated to be back on their native soil, 147 of the 1,300 Tajikistan fighters, 800 of Tunisia’s 2,926, none of the 1,200 from Uyghurs — in China’s western Xinjiang region — have returned and none of the 1,500 from Uzbekistan are believed to have crossed back into their mothership. In 2015, the U.S. government estimated that roughly one in five of the aspiring American foreign fighters had been killed in the theater of war. But to-date, there are no precise numbers of how many were killed abroad and how many may have evaded into other countries to continue their cause — leaving the whereabouts of many unknown, with the potential of rebounding stateside. The Soufan report also points out that a group which falls outside the definition of “returnee” figures are those people who have been stopped on their way to Syria or Iraq, either by their own authorities or those in a transit country. A spokesperson for the FBI acknowledged to Fox News that “tracking those overseas who have fought on the battlefield is difficult,” and that they do not have firm numbers of “how many surrendered, were killed or remain unaccounted for,” but said that 300 Americans have “traveled or attempted to travel to Syria and Iraq to participate in the conflict” — which includes those who have joined other armed groups, such as the U.S.-backed YPG, Peshmerga or Free Syrian Army. Still, some analysts have expressed concern. This undated image posted on a militant website is said by his parents to be British teen Talha Asmal. Family of the 17 year-old who reportedly killed himself in a suicide bombing in Iraq say they are devastated by his death. Furthermore, the report concluded that since 2015, there “was a marked rise in the number of foreign women traveling to or, in the case of children, being born in the Islamic State,” which poses a particular problem. More than 15,000 women and children are documented to be part of ISIS — with at least 4,000 of them from the European Union, 3,417 from Russia, 3,000 from Tunisia, 1,623 from Morocco and 850 from the United Kingdom.